Social media, social networking, social marketing! Everyone’s getting social, but what about your company? Should you be joining the rush to set up a Facebook site, YouTube channel, Twitter account and Linkedin business profile? Will these things really help your business? This is the question many businesses are asking. And it’s no wonder, given the number of brands now running official social networking activity. But is a Facebook site really going to help your business grow? The answer is … maybe. Sadly, despite the amazing numbers of people using social media on a daily basis, this doesn’t automatically guarantee that they’re going to want to engage with your company in this way. Most of the success stories we’re seeing are based around already high profile companies, such as Nike, DELL, Coca-Cola and so on. These are already well-established brands who use social media to engage in a two-way relationship with their target audience. And for the past few years, the aim of many such brands has simply been to gain a substantial footprint which can later be used as a low-cost marketing mechanism. It’s been all about growing fans and followers through cool content and high speed responsiveness. But what about the company supplying widgets to the mining industry? Is social media ever going to help such a business grow and expand? Probably not. Will such a business set up a Facebook site anyway? Most probably. Is my brand, product or service the type of thing you’d expect people to talk about over lunch? Remember, social media is all about socialising for the hundreds of millions of people who use it daily. If they’re not likely to talk about your brand in a social context person-to-person, why would they be any more inclined to do so via a website? Will social media really grow my brand? People are very unlikely to want to purchase an ice cream online but they may want to discuss flavours and preferences. If it’s brand awareness, social media may help. If it’s revenue growth for such an item, a Facebook site probably isn’t the best marketing tool. Does my brand have “cool” appeal? If so, its likely your customers will set up their own social networking groups in which to talk about your brand. In this case, you really need to have your own official site to begin engaging with them. If not, a Facebook, Myspace or Twitter account may be ways to develop “cool” but getting the content and messaging right is the key to success. Are you trying to target high audience volumes? If you mostly market to a select few decision makers, a Linkedin profile is likely to get better results than a Facebook site or Twitter account. 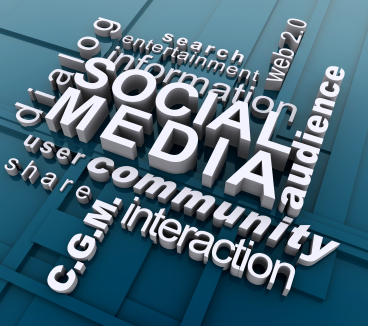 Do you have the resources to maintain a social media profile? A Linkedin account requires relatively little upkeep and is a good way to target your exact audience. But a Facebook site, Twitter account, YouTube channel etc all involve regular maintenance in the form of content updates and listening and responding. It looks terrible to see a Facebook page full of unanswered posts and queries and it will harm your business. Check out Vodafone‘s Facebook site to see how well it can be done, but also to see the huge volumes of comments such a site can generate. Is my brand already heavily talked about in social media? If the answer is yes, and it’s easy enough to check, then you should have an official site to capture and respond to this conversation. Lastly, are you prepared for a very public, two-way conversation about your brand? Remember, social media is a two-way street. As much as you may want t use it to marketing to a broad audience, that same audience will only too happily use it to comment on your brand, both good and bad (check out the Vodafone link above to see what I’m talking about). In the end, the decision to pursue social media opportunity comes down to resources and target audience. Ensure your target audience is willing to engage with you in this way, then ensure you have the resources to maintain the conversation.